Very cool! My mom's horse was registered as "Diamonds and Rubies". Purebred horse names love the "and" aspect. Also, didn't know you were on Ravelry. I've gotton way back into knitting lately, so I'm always glad to follow various bloggers I read on there. 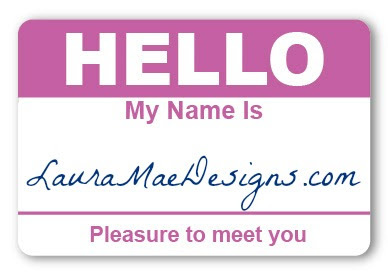 That's awesome, Laura Mae, happiest congrats on your new domain name! All is well in terms of being able to see it on this end (I follow your site chiefly through Bloglovin' and it's showing up perfectly still there). Excellent job. I love reading your blogs...where ever they are. :o) Thanks for putting these together for us. They're all very inspiring.